← The International community needs to stop Erdoğan! The marriage between capitalism and democracy was one of convenience or interest, the product of a very specific period. A temporary reconciliation between capitalism and democracy seemed possible under conditions created by a capital accumulation regime that rested on the specific balance of power between social classes following the two world wars. The “logical contradiction” between capitalism and democracy that Lenin famously underscored appeared suppressed for a while, in a very specific time period. However, the bliss did not last long. This marriage, which was qualified as “the end of history” and supposed to last forever, soon started to show cracks. In other words, the divorce between “the markets” and democracy is not an issue of these recent years, when we witness the so-called “illiberal democracies” spread and right-wing populism become mainstream. On the contrary, it is possible to say that the divorce proceedings between democracy and capitalism date way back. It is probably necessary to go back as far as that “revolution”, which brought Margaret Thatcher to power in 1979 and Ronald Reagan in 1981, and radically changed the balance of social forces in favor of “the haves” and to the detriment of “the have-nots”. Ronald Reagan made the following remarks about this “revolution” during his farewell speech as he left office in 1989: “They called it the Reagan revolution. Well, I’ll accept that, but for me it always seemed more like the great rediscovery, a rediscovery of our values and our common sense.” Undoubtedly, what Reagan called “our values and our common sense” were those of the social class he represented. After all, his “revolution” had started out as a “tax revolt” of the property-owning classes, and continued as a class war from above. In this war, the air traffic controllers’ strike in the United States and the miners’ strike in the United Kingdom of 1981 were the major battles, where the balance of power tilted in favor of the capitalist class. The first victim of neoliberalism was this energy from below that had made democracy—albeit a limited one—possible. Neoliberalism eroded the working masses’ capacity to control their living conditions, their initiative over their own lives, their self-confidence. By force, it suppressed, fragmented, atomized and discredited the working class movement and social struggles. It rendered their independent grassroots organizations dysfunctional and apolitical; it disfigured laborers’ common spaces by commercializing these. All human energies that could power collective struggles were devastated. This is the revolution that yielded Trump, Farage, Le Pen, Orban. In this sense, there is not rupture but continuity between Trump and the “liberal” Clintons, or say, Farage and Blair. The phrase “illiberal democracy” is misleading since it renders this continuity invisible. Liberalism was a system of thought that once approved of slavery, or of the disciplining of workers through hunger (as in the great famine in Ireland between 1845-1852), under the pretext of protecting private property against the “despotic” interventions of the state. If it were left alone, that is, if it weren’t for the uprisings of slaves and colonized peoples or the struggles of workers, liberalism would have preserved intact this elitist, discriminatory character, which is its birthmark. In this sense, the birth of parliamentary democracies was possible not through a linear evolution of liberalism, but by the pressures of these two historical counter-currents. However, in the last thirty years, the enormous decline in the power of the working class to act as a class, as well as the degeneration of anti-colonial or anti-imperialist struggles (taking the form of sectarian / fundamentalist violence in the Middle East or endless civil wars among warlords in sub-Saharan Africa) have hollowed out democracies, creating “democracies without democrats.” The decline of these two waves of struggle (for the time being, of course) has left behind a vacuum, which is now filled by the right -that is, an elitist variant of liberalism, and its supposed enemy, the conservative populism of the radical-right. The result is the inevitable erosion or decay of democracy. 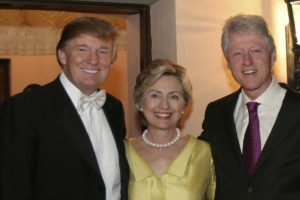 The continuity between Hillary Clinton and Donald Trump is one and the same with the continuity within Recep Tayyip Erdoğan’s political career. 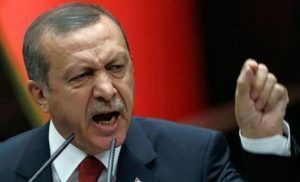 The mainstream media outlets of the West keep repeating the cliché that Erdoğan was first a democratic, reform-minded leader, but then became intoxicated with power to turn into an authoritarian “sultan”. However, Erdoğan’s appearance as first a “Clinton” and then as a “Trump” (or Orban, Modi etc.) during his rule depends on the characteristics of the domestic power bloc and the international situation in these two separate periods – and not on some imaginary “secret agenda” of Erdoğan’s. The continuity between these two periods is clear in terms of the debilitation of the oppressed, or the absorption, distortion and forceful destruction of their energies, which could be a source of democracy. As such, “Erdoğanism” is not some abstract problem of democratization, or another example of “illiberal democracy”. Let us not forget that the idea of an abstract or pure democracy, which does not take into account class power, has been already critiqued by Lenin, who characterizes it as an “ignorant” or “thrice-empty” phrase in The Proletarian Revolution and the Renegade Kautsky: “If we are not to mock at common sense and history, it is obvious that we cannot speak of ‘pure democracy’ as long as different classes exist; we can only speak of class democracy.” Lenin adds, “‘Pure democracy’ is the mendacious phrase of a liberal who wants to fool the workers.” Even socialists frequently ignore this link between class power and democracy nowadays, and we tend to hear a democratic discourse that ignores the concrete relations of oppression. 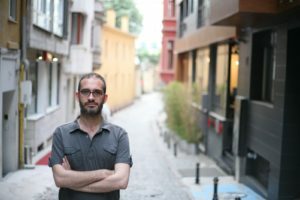 Yet the defense of some abstract democracy devoid of social content cannot raise a barrier against Erdoğan’s authoritarian, conservative populism which highjacks the people’s capacity to organize and act, and turns it into its opposite. Trying to resist Erdoğanism through abstract and liberal principles devoid of class content such as “separation of powers” and “parliamentary regime”, or reducing opposition to a class-blind anti-Erdoğanism will be errors difficult to compensate for. Defeat will be inevitable, if the left, by disregarding the class content of democracy, tries to take refuge in the “center” against the threat of the extreme right, or strives to return to a now obsolete “normal” in the face of the social rage which the extreme right has succeeded in channeling against the “others” of the society. The factor underlying the erosion of democracy is not a simple political shift, but the transformation of social and class relations to the detriment of the oppressed. Without a radical change in the balance of power in favor of the oppressed, it will be impossible to stop this authoritarian shift.